We’re back for another installment in our fashion series on NineteenTeen focusing not on dresses and gowns (gorgeous as they are) but on the little things that complete a fashionable ensemble—hats, shoes, gloves, purses, and other accessories. Look for lots of images rather than commentary, though I’ll try to supply original text if I have it—the point is to be able to examine multiple examples of each item. 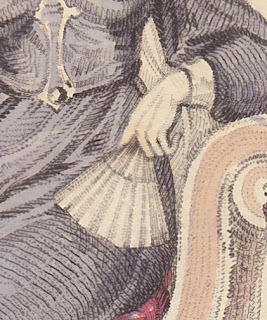 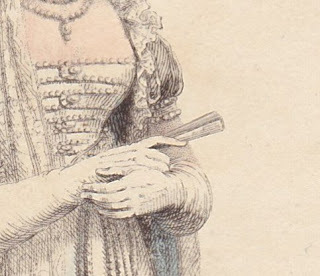 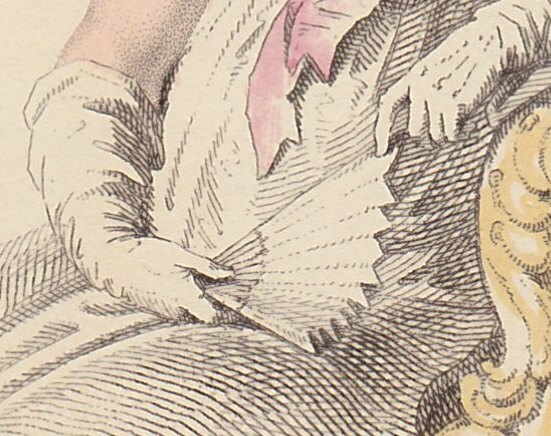 Images are drawn from my collection of prints from British publications including Ackermann’s Repository, La Belle Assemblée, The Lady’s Magazine, Phillips’ Fashions of London and Paris, and others. 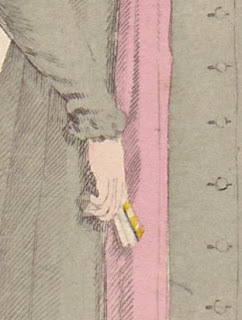 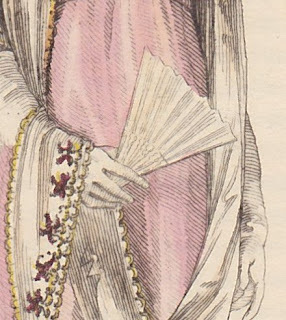 However, Ackermann’s had the most detailed plates, so the majority of images you’ll see will be from that publication. These date from 1799-1821. Hmm. 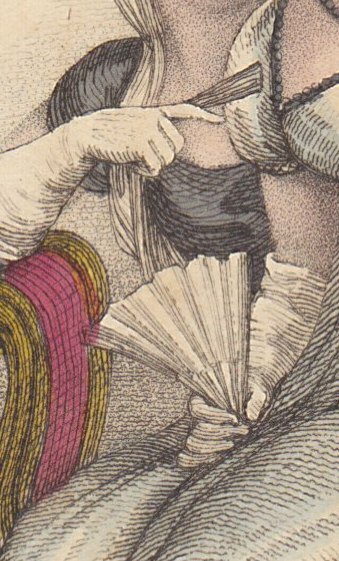 Apart from variations in size, fans just weren't very interesting, it seems...or at least, not very colorful. 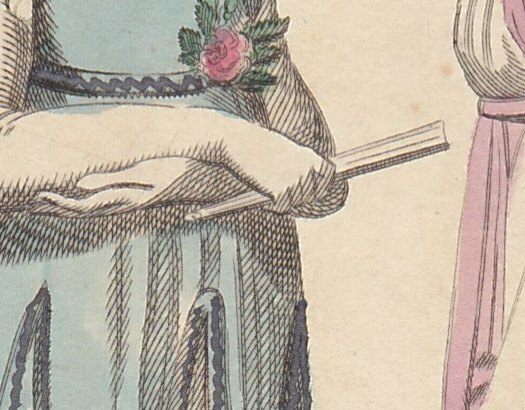 Even when I have the dress description for a plate, mention isn't always made of what sort of fan the illustration depicts. 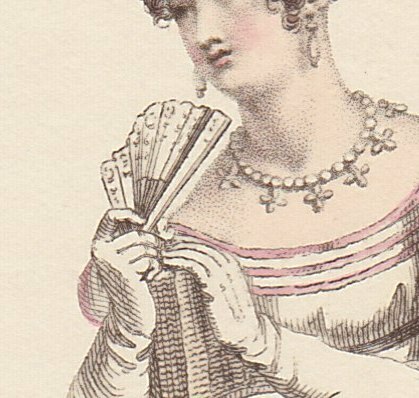 That makes sense in some ways--one fan of ivory or frosted crape will go with many outfits. But it would seem to me that collecting different fans for different dresses would be half the fun--don't you agree? 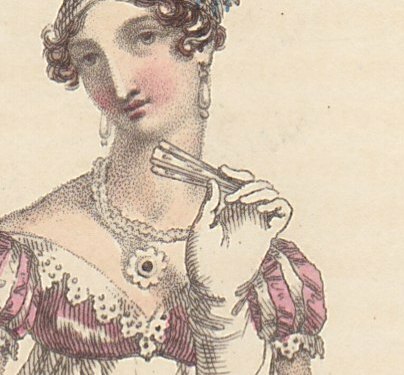 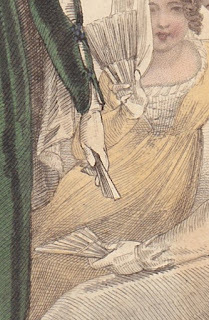 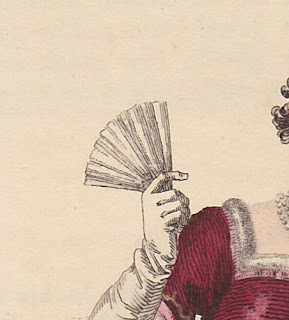 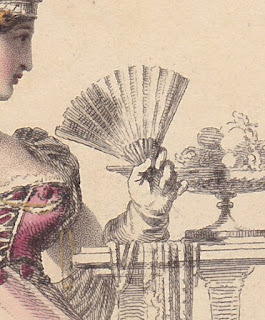 As it happens, fans get much more interesting later in the 1820s, as we shall see in the next Accessories post...soon. Hold that thought-I took a pictures of fans at the Daughters of American Revolution exhibit on fashion after the American Revolution and War of 1812. 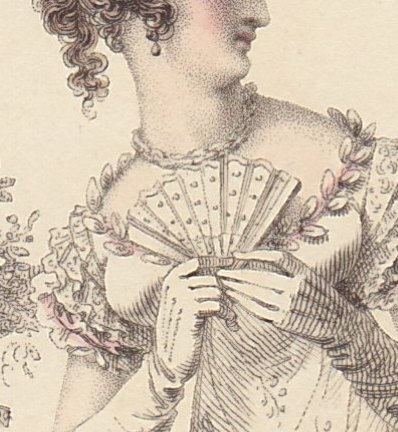 They date to late 18th century-early 19th century. I can't see the captions very well but I am hoping to get the exhibition catalog at some point. 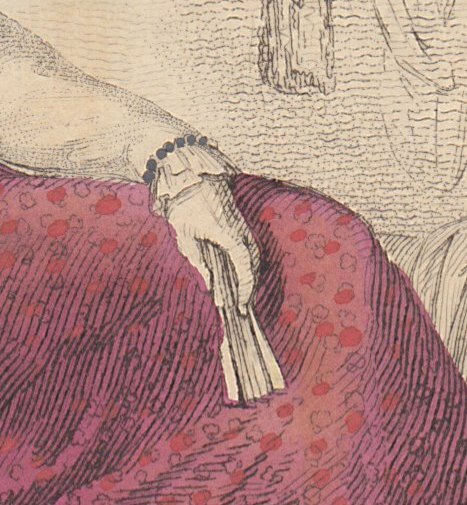 I recommend buying the catalog even if you haven't been to Washington, DC to see the exhibit.